This article originally published for the Midwest Employment Law Institute, May 18-19, 2015. TREND: As the economy has improved, non-compete disputes have accelerated. Executives and other key employees have become more mobile, many new opportunities have opened, and employers are looking to hire experienced and well-connected employees – many of whom are parties to non-compete agreements and other protective covenants. More employers (“OLDCO”) than ever are using noncompetition, confidentiality and non-solicitation agreements to prevent competition and solicitation of their customers and employees, and to protect their confidential information. As a result, potential new employers (“NEWCO”) often face difficult hiring issues and decisions. The impact and enforceability of restrictive employment covenants is a critical part of the analysis. Employees (and independent contractors) are incentivized to leverage their knowledge and contacts to seek employment at a competing employer, and competing employers may be willing to risk legal exposure. This article and the related presentation will review NEWCO’s legal exposure and tough issues that it faces, highlight key legal defenses to OLDCO’s claims, and provide strategies and practical suggestions to help NEWCO accomplish its goals while minimizing its risks. II. NEWCO’s GOALS IN HIRING EMPLOYEES WITH AGREEMENTS. TREND: Very few job applicants for key positions show up without any competition restrictions. Hiring employers are recognizing that they may be able to make the hire and still avoid extensive and expensive litigation costs and risks; or that they have to take some risks to make good hires. Avoid Litigation. NEWCO’s goal is not to litigate these problems; but rather to avoid them in the first place. Know the Issues in Advance, and Address them Up Front. NEWCO should be proactive to ensure that it identifies and addresses its risks before, not after, they are triggered. Don’t Make Matters Worse. NEWCO should make it clear to the applicant that it does not want to interfere with OLDCO’s agreements or other legal rights, and that it does not want the applicant to take improper actions with OLDCO’s confidential information, property, customers, employees or others that may create legal claims that otherwise would not exist. Damage Control. NEWCO should enhance its negotiation positions – again, in hopes that it can resolve the problems short of litigation. If litigation is needed, NEWCO should maximize its odds of avoiding a temporary restraining order and/or an injunction, in hopes that it can quickly put a stop to OLDCO’s litigation claims. If litigation occurs, NEWCO should minimize its potential exposure, both in terms of liability and the extent of damages. III. POSSIBLE CLAIMS AGAINST EMPLOYEE AND/OR NEWCO. OLDCO can assert several claims directly against the employee and NEWCO, as well as others against the employee that will impact NEWCO indirectly. TRAP: Hiring employers often fail to determine in advance if they are hiring a person with protective covenants, and/or make the mistake of thinking that hiring the employee is not their problem. These employers fail to identify their exposure and take critical steps to avoid or minimize legal risks. They often make matters worse than they need to be and/or learn of their problems after the fact. Learn about previous agreements. Make the at-will employment offer letter contingent on the applicant’s ability to perform duties; confirm the applicant is not hindered by a non-compete or other agreement with a previous employer. If there is an agreement, get it. Evaluate the question of enforceability, and balance the risks before going forward with the hire. Is it worth the risk? Assure that the applicant does not make matters worse by taking improper actions with respect to OLDCO’s confidential information, data, property, customers and employees. Have an “exit strategy” (at-will employment, etc.). If things do not work out, NEWCO does not want to have made promises that it cannot keep. A. Breach of the Restrictive Employment Covenant. The most obvious and frequent claim against employees is for breach of one or several restrictive covenants, including: a non-compete agreement, a customer non-solicitation agreement, an agreement not to solicit OLDCO’s employees, or a confidentiality agreement. Consider limiting the terms of the offer to ensure (or at least make a good faith effort to ensure) that activities will not conflict with the prior agreement or entail the use of OLDCO’s confidential information, trade secrets, or customer relationships. For example, a customer non-solicitation provision may be a very narrow restriction for a limited period of time. NEWCO may be able to safely hire the employee without violating that provision. Consider framing the job in such a way that it will avoid or minimize OLDCO’s potential damages. (“During…, you may not…”) These efforts may dissuade OLDCO from suing and/or make its case much more difficult. B. Tortious Interference with Contract. NEWCO may want to “keep its distance” on certain issues. Consider whether NEWCO’s attorney will represent the employee, whether NEWCO will hire separate counsel for the employee, or whether NEWCO will expect the employee to provide for his/her own representation. C. Tortious Interference with Prospective Economic Advantage. Even if there is no contract, or in addition to a contract interference claim, Minnesota courts have recognized that OLDCO may assert a claim for tortious interference with business expectancy. In early 2014, the Minnesota Supreme Court reconfirmed that it is a viable claim in Minnesota, and clarified that the phrase “tortious interference with prospective economic advantage” most accurately describes the cause of action. To recover for tortious interference with prospective economic advantage, a plaintiff must prove the following five elements: (1) the existence of a reasonable expectation of economic advantage; (2) defendant’s knowledge of that expectation of economic advantage; (3) that defendant intentionally interfered with plaintiff’s reasonable expectation of economic advantage, and the intentional interference is either independently tortious or in violation of a state or federal statute or regulation; (4) that in the absence of the wrongful act of defendant, it is reasonably probable that plaintiff would have realized that economic advantage or benefit; and (5) that plaintiff sustained damages (which must be specific and real, not speculative, and must be more than damages to reputation). OLDCO can argue that NEWCO is responsible for its employee’s improper activities under the doctrine of respondeat superior, which holds an employer “vicariously liable for the wrongful acts of its employees committed within the scope of their employment.” To establish that an employee’s acts occurred within his or her scope of employment, the conduct must be “in furtherance of the interests of the employer.” For example, NEWCO may be liable for the misappropriation of OLDCO’s trade secrets by one of its employees. NEWCO’s liability will depend on whether the wrongful conduct (1) is related to the employee’s duties; and (2) occurs within work-related limits of time and place. Under the doctrine of respondeat superior, the tortious conduct of a corporate employee can be imputed to a corporation, but that liability is joint and several and so the employee is not relieved of legal exposure. E. Violation of Trade Secret / Confidentiality Laws. Minnesota courts have recognized that “[i]n the absence of a covenant not to compete or a finding of actual disclosure or an intent to disclose trade secrets, former employees ‘may pursue their chosen field of endeavor in direct competition’ with their employer.” However, the employee has a duty to protect the secrecy of OLDCO’s confidential information, and NEWCO cannot benefit from a violation of that duty. TRAP: Regardless of the existence of agreements, the employee and/or NEWCO may also have direct or indirect liability to OLDCO for violations of trade secret and/or confidentiality laws. Hiring employers often fail to insulate themselves from OLDCO’S secrets, and many former employers are suing (and doing extensive discovery) to address these violations. Keep OLDCO’s property/information away from NEWCO. Make it clear in the offer letter and all follow up communications that the employee is prohibited from bringing or using OLDCO’s property, trade secrets, or confidential information. Be crystal clear that NEWCO does not want, does not need and will not accept OLDCO’s confidential information or property. NEWCO may already have properly obtained information that OLDCO might later claim to be its confidential information. Make sure it is in place, and that it did not come from the employee. Build the equivalent of “ethical walls” to ensure that others are not “tainted” with information from the employee. 1. Employees’ Common Law Duties to Maintain Confidentiality. Minnesota common law provides protection to employers from employees who misuse the employer’s confidential information or attempt to compete with the employer while still employed. NEWCO cannot benefit from a violation of that duty. 2. Trade Secret Misappropriation. The Minnesota Uniform Trade Secrets Act (“MUTSA”) displaces all conflicting tort law and serves to preempt the common-law tort of misappropriation. Misappropriation is defined as “improper acquisition, disclosure, or use of a ‘trade secret’”; the existence of a proven trade secret and a confidential relationship are prerequisites to an action for misappropriation. In addition to monetary damages, OLDCO can seek temporary or permanent injunctive relief; the critical question in such actions is whether OLDCO can demonstrate that it will likely “succeed on the merits” of its misappropriation claim. To qualify as a trade secret, the party asserting misappropriation must prove: (1) the information is not generally known or readily ascertainable; (2) the information derives independent economic value from its secrecy; and (3) the party makes reasonable efforts to maintain secrecy. F. Violation of Patent Rights. G. Breach of Duty of Loyalty. TRAP: Regardless of the existence of agreements, during the recruiting and application phase, hiring employers and transitioning employees may “cross the line” and trigger a lawsuit for breach of duties. Assure that no property or arguably confidential information is shared. Assure that the employee does not improperly solicit OLDCO’s customers, employees, etc. while still employed by OLDCO. Do not have employment discussions during the employee’s working hours at OLDCO. Do not use OLDCO’s property (e-mails, phones, and computers) to communicate. All employees owe a duty of loyalty to their employers. Among other things, the duty of loyalty prohibits an employee “from soliciting the employer’s customers for herself, or from otherwise competing with her employer, while she is employed.” This duty exists regardless whether the employee has a non-compete agreement with the employer. H. Breach of Fiduciary Duty / Usurpation of Corporate Opportunity. Partners in partnerships, and officers, directors, and shareholders in closely held corporations, owe fiduciary duties to their employers, which are higher than the duty of loyalty. For example, although offering a job to an at-will employee is not considered improper interference with an at-will employment contract, if the person offering the job has a fiduciary duty to OLDCO at the time of the offer, a different result is likely. Among other obligations, it would generally be considered a breach of fiduciary duty or tortious inference with contract if a fiduciary, while still employed, solicits other employees. Also, the fiduciary duty includes a duty not to usurp a corporate opportunity. When an opportunity related to OLDCO’s business is presented to an employee with a fiduciary duty, he or she may not take it for personal benefit, or direct it to another person without first making the opportunity available to OLDCO. I. Choice of Law and Forum Selection Clauses. TREND: Non-compete agreements increasingly contain both choice of law and forum selection clauses, which generally enable OLDCO to sue the former employee – and often NEWCO as well – in OLDCO’s jurisdiction and venue. Consider the law that actually applies to the agreement. Consult with local counsel about that law, rules and practices. There are many conflicts among state laws pertaining to non-compete agreements. This has led to creative efforts by transitioning employees and their new employers to relocate the employee to a state that refuses to enforce restrictive covenants, in order to sustain a challenge by the former employer. This leads to many “race to the courthouse” situations and fascinating legal and strategic disputes. Many employers have anticipated these issues, and vary their agreements as desired. Further, many include a choice of law provision and a forum selection clause, to best protect OLDCO in the event of multi–state issues. Generally, courts have enforced such provisions. Further, the Minnesota Court of Appeals recently concluded that forum selection clauses in non-compete agreements bind not only the former employees but NEWCO as well, where NEWCO is “closely related” to the dispute between OLDCO and the employee. However, if an agreement provides a choice of law provision in order to benefit from a more favorable law, but the parties do not have the requisite connections to that state, the courts can, and will, elect not to enforce such a provision. IV. POTENTIAL DEFENSES TO OLDCO’S CLAIMS. 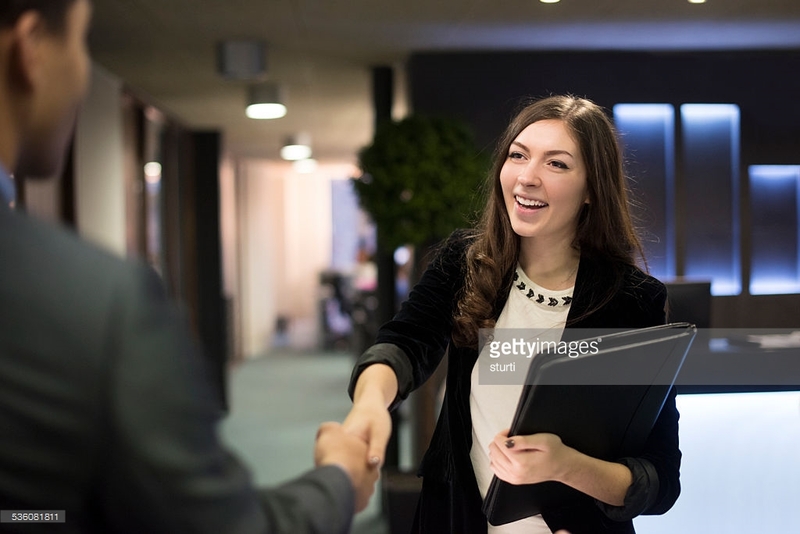 TREND: Hiring employers are increasingly willing to look at all potential defenses before passing on a candidate solely because that person has a “non-compete” agreement. There are many absolute defenses, which may prohibit the non-compete from being enforced at all; and others, which may restrict the enforcement to a reasonable and manageable level. See all STRATEGIES in Section III. Realize that OLDCO likely does not want litigation either. Like other business disputes, most of these cases can be settled in a way that works for all parties. Knowing its defenses may help NEWCO position itself for a quick and satisfactory resolution. A. Minnesota Courts Disfavor and Heavily Scrutinize Non-Competes. In Minnesota, an enforceable non-compete agreement must be both necessary to safeguard the employer’s protectable interests and reasonable as between the parties. Courts will uphold non-compete agreements that are “for the protection of the legitimate interest of the party in whose favor [they are] imposed, reasonable as between the parties, and not injurious to the public.” The restrictive covenant is carefully scrutinized to see if it is “necessary for the protection of the business or good will of the employer,” and if the restriction on the employee is no greater than “necessary to protect the employer’s business, regard being had to the nature and character of the employment, the time for which the restriction is imposed, and the territorial extent of the locality to which the prohibition extends.” Critically, the validity of the contract in each case must be determined on its own facts. Even if a non-compete agreement is by its terms reasonable, it may be totally unenforceable if OLDCO did not give the employee sufficient consideration. 1. Timing of Consideration. The validity of consideration can depend on when it was offered to the employee. The employee and NEWCO should carefully analyze the time frame in which the non-compete agreement was presented by OLDCO. a. Non-Compete Offered at Time of Hire. Minnesota law treats an employee’s new job as sufficient consideration for a non-compete agreement so long as it is entered into at the commencement of the employment relationship. It is not enough for the employer to give the employee notice about the non-compete agreement without actually presenting it prior to or in tandem with the job offer. Even if an employee has not physically begun to work, but has already accepted an offer of employment, a non-compete agreement following the original offer and acceptance of employment cannot be enforced absent independent consideration. Notably, there are exceptions to this general principle in the case law where an employee knew of the implementation of the non-compete agreement, continued working, and continued to receive advance payments on unearned commissions, or where the employee had the opportunity to fully negotiate and discuss the non-compete, offered to draft the agreement, and filled in and typed up the terms of the agreement prior to employment, although he did not sign it until after he started working. Under these circumstances, courts appear less concerned that the employer is taking advantage of the parties’ unequal bargaining power and more likely to find that there in fact was adequate consideration. Each case must be decided on its own facts. b. Mid-Stream Non-Compete Agreement. A non-compete agreement executed after an employee has commenced employment is unenforceable unless supported by “independent consideration.” However, in late 2010, the Minnesota Court of Appeals held, in an unpublished decision, that the post-employment independent – consideration requirement that exists in the employment contexts does not apply to independent contractors. Thus, at least the “mid-stream” issues in the employment context appear not to apply in the independent contractor context. 2. Consideration Must Constitute “Real Benefits.” Independent consideration consists of real benefits that are bargained for between the employee and the employer. “Real benefits” mean more than those to which the employee is already entitled to by virtue of employee status or a separate contract. Continued employment is not sufficient consideration for a non-compete: even when an employee receives some amorphous long-term benefits as a result of signing the non-compete, the non-compete is still invalid if the employee is not aware that the benefits were in exchange for the covenant not to compete. Real benefits might include: midstream (or post-termination) benefit agreements, promotions, or a cash payment. a. Benefit-Related Agreements. In recent years, more employers are conditioning mid-stream or post-termination benefit agreements (for stock grants and options, bonuses, change of control benefits, severance benefits and other incentives) on the execution of non-compete agreements. To satisfy the independent consideration requirement, the critical step is distinguishing clearly between employees who sign non-compete agreements and those who do not. Otherwise, the alleged “independent consideration” may be illusory. Also, a benefit plan that allows but does not require an employer to provide benefits to an employee may not be sufficient consideration for the non-compete agreement, because it was “unilateral” and could not be enforced. On the other hand, one Minnesota federal district judge has commented in dicta that whether an employee “actually received the stock options is of no moment. By signing the …Agreement, [the employee] was made eligible for a benefit he could not have received without signing the Agreement. Thus, the . . . Agreement is valid.” This language appears to suggest that the decline in value of stock options, even to a point where they are “underwater,” would not affect the enforcement of a non-compete agreement. b. Promotions. A promotion to a higher position with more authority and responsibility is generally viewed as adequate consideration. A promotion may even be adequate consideration even if the employee makes less money after the promotion. The timing of the promotion and the signing of the agreement are critical. If an employee is promoted prior to signing the non-compete agreement, then the promotion cannot serve as consideration for the agreement. The Minnesota Court of Appeals recently had to decide whether a promotion, offered informally at first and later in a writing that contained non-solicitation language, served as sufficient consideration for the non-solicitation agreement. In Softchoice, the employee argued that he was promoted when he was first informed that he would receive the promotion (although the promotion was not implemented at that time); the employer countered that the employee was promoted when he signed a formal offer letter. The Court (applying Missouri law) held that a promotion serves as consideration for a non-compete agreement at the time when the terms of the promotion have been defined and the promotion has been formally offered and accepted in writing, reasoning that the “key inquiry is when the promotion provides the employee with ‘real advantages.’” In reviewing that decision, however, it seems that if the employee had actually received the increase in compensation, duties, and benefits prior to being provided the documents, the result would have been different. c. Cash payments. Cash payments can be valid consideration for a mid-stream non-compete agreement. The adequacy of consideration is a fact issue particular to each case, and the ultimate question is whether the consideration was of “real benefit” to the employee. While the Minnesota Court of Appeals has held that $500 provided a “real advantage” to the employee, which under the specific facts of that case, constituted sufficient consideration, the case in no way suggests to this author that $500 is the new floor of reasonableness in Minnesota. Many would balk at the suggestion that $500 alone is a reasonable bargain for future employment restrictions. Non-compete agreements that are unclear, vague and incomplete are not enforceable. If the agreement is ambiguous, the court construes the ambiguities against the drafting party. D. The Agreement Is No Longer Binding. If the non-compete clause is part of a larger agreement—for example, an employment agreement— which contemplates and allows for termination “of the agreement,” it may not be clear that the non-compete obligations survive termination of the underlying agreement. Post-termination obligations must expressly survive termination of employment. NEWCO and the employee should look for language that allows the employee to “terminate the Agreement,” since this might apply to the non-compete. Non-competes are assignable in Minnesota. However, because non-competes are generally disfavored and therefore narrowly construed, a court will not assign a non-compete absent explicit language permitting assignment. Also, the language in particular contracts may require the employee’s consent to an assignment, in order for the restrictive covenant to be enforceable by an assignee of the former employer. The transitioning employee may have possible claims against OLDCO for breach of contract or other legal matters. This may provide a springboard for negotiations and/or litigation positions. Do not give legal advice to the employee about claims against OLDCO. Have the employee get separate counsel to evaluate these issues. If OLDCO failed to enforce non-compete agreements against other similarly positioned employees, OLDCO may have waived its right to future enforcement of the agreement. However, the waiver may need to be in writing in order for the statute of frauds to be satisfied. Other legal contract defenses, such as fraudulent inducement and misrepresentation, can be asserted as defenses to non-compete agreements. H. Unreasonableness of the Restrictive Covenant. STRATEGY: If the non-compete is likely too long and/or too broad, consider partially complying with it – to a “reasonable” extent, and then getting ready to defend that position with OLDCO or the Court. The reasonableness inquiry occurs on a case-by-case, fact-specific basis. Some states hold unreasonably restrictive covenants totally unenforceable, as a way to encourage employers to write more narrowly-tailored covenants. In other jurisdictions, the courts will modify invalid portions of the agreement under the “blue pencil” doctrine, and enforce the rest as written. Minnesota courts utilize a modified blue pencil doctrine and will, at their discretion, rewrite portions to make them reasonable. However, Minnesota courts have not, to date, applied the blue pencil doctrine to agreements that are invalid for reasons other than the reasonableness as to time, geography or other factors, such as a failure of consideration. Minnesota courts have historically reviewed two types of restrictions for their reasonableness: temporal and geographical. A covenant whose restriction extends too far into the future or across too broad of a geographical area might be invalidated or modified. 2. Geographical territory. Employment-related covenants restricting competition must be reasonable from a geographic standpoint as well, or they will not be enforced. In the past, global restrictions have generally been unenforceable as unreasonably broad, but this is changing as the world marketplace develops. The factors courts take into account when judging the reasonableness of a geographical limitation include: (1) reasonable trade area; (2) area where employee actually performed duties; (3) employer’s actual business area; and (4) location of employer’s customers. Geographical restrictions should be clearly tied to the employer’s legitimate business interests, keeping in mind that the increased roles of telephones, emails, and the Internet can make geographic restrictions irrelevant in many industries. The employee and NEWCO should argue vehemently against an unreasonably restrictive covenant whose temporal or geographic limitations impose a greater restriction than necessary to protect OLDCO’s business interests. 3. Customer-Based Restrictions. Customer restrictions may substitute for or complement a geographic restriction. Often, these make far more sense than pure geographic restrictions since customers may be all over the county or even the world. Basing a territorial restriction on the presence of customers in a certain area enhances the reasonableness of a non-compete agreement. 4. Product-Based Restrictions. Under the right circumstances, product-based restrictions may also substitute for or compliment a geographic restriction. Even a world-wide non-compete agreement may be deemed reasonable under the circumstances of the case, where the non-compete covenant prevents the employee from working on competitive products. I. Defenses to Tortious Interference with Contract. STRATEGY: NEWCO may want to keep its distance from certain issues with the employee, by insisting that the employee get separate counsel. Regardless, NEWCO should do its due diligence to assure that the employee does not have a contract, does not have and will not share or use confidential information and will not violate any other laws or agreements. NEWCO may raise the “competitor’s privilege” to a claim that it wrongfully interfered with OLDCO’s contract if NEWCO asserts in “good-faith” a legally protected interest of its own believing that its interest may otherwise be impaired or destroyed by the performance of the contract or transaction. Competition is favored in the law, and can provide that justification if NEWCO proves that (1) the alleged interference concerned a matter of competition between NEWCO and OLDCO; (2) NEWCO did not employ wrongful means in the course of the alleged interference; and (3) NEWCO’s purpose was to advance their interest in competing with OLDCO. The employee in Sysdyne did not dispute that he breached the noncompete agreement, and the trial court awarded damages to Sysdyne on its breach of contract claim with respect to certain customers he brought with him from the former employer to the new employer, Xigent. The trial court ruled in favor of Xigent, however, on the tortious interference claim, concluding that Xigent’s interference was justified because Xigent conducted a reasonable inquiry into the enforceability of the noncompete agreement and honestly believed, based on advice of outside counsel, that the agreement was unenforceable. The court of appeals affirmed. In its appeal to the Minnesota Supreme Court, Sysdyne raised the following issues: whether the justification defense to a claim of tortious interference with contract may be satisfied by reliance on incorrect advice of counsel; and, if so, whether the trial court’s finding of honest reliance on the advice of counsel after a reasonable inquiry is supported by the record. The Court answered both questions in the affirmative. The facts in Sysdyne are very interesting. Outside counsel advised Xigent that the noncompete agreement was overbroad as to Rousslang’s preexisting customers and that the entire agreement was unenforceable. Based on this advice, Xigent advised Rousslang that the noncompete agreement was unenforceable and offered him a position at Xigent, which Rousslang accepted on the condition that Xigent cover any legal fees associated with his move to Xigent. In support of its justification defense, Xigent presented an e-mail exchange between Xigent’s President and the outside lawyer regarding the attorney’s review of Rousslang’s original offer letter and employment agreement. Xigent also introduced billing records indicating that the attorney billed 0.4 hours for review of the letter and agreement and 0.3 hours for a telephone conference with the President regarding “noncompete issues.” The President testified that he told the attorney that Rousslang would be doing similar work at Xigent as he had been doing at Sysdyne, with some added responsibilities, but did not describe Sysdyne’s business. He also testified that he viewed the attorney as an expert on noncompete agreements, that the attorney had reviewed noncompete agreements for Xigent for 10 to 12 years, and that he relied on the attorney’s advice. Interestingly, prior to Sysdyne the Minnesota Court of Appeals had ruled that a defendant’s assertion of attorney-client privilege as the basis for refusing to disclose why it believed that a non-compete was unenforceable was “fatal” to its claim that it had a good-faith belief that the non-compete was unenforceable. This seems to mean that if an attorney is going to give advice on a non-compete issue, and the client relies on that advice to defend a claim for tortious interference, the attorney-client privilege will have to be waived. Many questions remain after Sysdyne. What is “reasonable reliance?” How much is needed to prove “honest reliance on the advice of counsel after a reasonable inquiry?” Will employers carefully follow this case to inoculate themselves from tortious interference claims? If the attorney is wrong, at what point is it malpractice? Will attorneys be willing to advise clients knowing that their communications may become the lead defense? How will the attorney-client privilege be impacted? How broad is the waiver? At what point is the attorney prohibited from representing NEWCO because he or she is a key witness? J. Defenses to Claims for Breach of Duty of Loyalty / Fiduciary Duty. All employees owe a duty of loyalty to their employers. However, a current employee of OLDCO will not incur liability by merely preparing to enter into competition with OLDCO. While an employee may conceal his plans to compete with his employer, he may not, in preparing to compete, commit fraudulent, unfair, or wrongful acts, such as solicitation leading to a mass resignation of the firm’s employees. There is no bright line between prohibited competition and permissible preparation for competition. Instead, the courts conduct a balancing analysis between the employer’s and employee’s respective interests. Signergy Sign Group v. Adam is an excellent example of a court’s balancing analysis. Generally, merely offering a job to the employee of another does not constitute improper interference with another’s contract. However, this general rule may not apply if the offeror owes a fiduciary duty to the employer. It is likely improper for a corporate fiduciary (while still a fiduciary) to offer the corporation’s employees competing jobs. However, once the fiduciary is no longer employed, absent a contractual obligation not to solicit employees, the former employee is entitled to the competitor’s privilege discussed above with respect to the justification defense to interference claims. K. Defenses to Common Law Confidentiality / Trade Secret Claims. 1. Industry and Public Information are not Trade Secrets. Generally known principles in an industry cannot be considered trade secrets and are not entitled to protection. Similarly, information that is readily ascertainable by proper means, or information that comprises general skills and knowledge acquired in the course of employment, do not constitute trade secrets. 2. Customer Lists are Usually Not Trade Secrets. Minnesota federal courts frequently conclude that customer lists are not confidential or trade-secret information because such information is readily available through reasonably diligent research. An important exception to this general rule emerged in Surgidev Corp. v. Eye Technology, Inc. In that case, the court found that maintaining the secrecy of high-volume customers’ identities was a practice embraced by the entire industry in which the plaintiff and defendant did business. Therefore, such information would not be readily accessible and would likely be a trade secret. Surgidev also concluded that the identities of individual contacts at customers’ facilities can be a trade secret, since in the sales industry the goodwill of a customer frequently attaches to the employer’s sales representative personally. Several plaintiffs have argued, unsuccessfully, that Surgidev supports their claims of the trade-secret status of customer information. However, on a couple of occasions, the court has found an industry-wide practice of confidentiality toward customer lists and concluded that such information was a trade secret. In contrast to Minnesota federal court, state-court plaintiffs generally seek to protect their customer information by reference to Cherne Industries, Inc. v. Grounds & Associates rather than Surgidev to claim trade-secret protection. Regardless, Minnesota state courts frequently rely on federal precedent and reasoning to reject claims of trade-secret status over customer lists. 3. OLDCO Must Maintain Secrets to Claim They are Trade Secrets. If OLDCO failed to make efforts to keep its alleged secrets private, they likely will not be considered trade secrets. Even if information is not readily available and has economic value, Electro-Craft demands that a plaintiff seeking trade-secret protection demonstrate that it took reasonable efforts to protect the secrecy of that information. The entity seeking protection of the trade secret must make a “reasonable effort under the circumstances” to maintain secrecy. Similarly, the employer-employee relationship creates a common law duty of confidentiality only as to information that the employer treats as secret. “Although absolute secrecy is not required, the confidential measures must be reasonable under the circumstances.” In Surgidev, the court provided a list of protective activities that indicate “reasonable efforts”: asking employees to sign confidentiality or non-disclosure agreements; restricting visitors to sensitive areas of a plant or manufacturing facility; separating sensitive departments or processes from the central facility; keeping secret documents in locked files; and distributing allegedly secret materials on a strictly “need-to-know” basis. 4. Intent and the Inevitable Disclosure Doctrine. In Minnesota, generally a court may issue an injunction only where there is misappropriation or threatened misappropriation of trade secrets. Similarly, a common law claim of misappropriation of confidential information requires an affirmative showing that the employee intended to misappropriate the employer’s confidential information. Some courts have applied the “inevitable disclosure doctrine,” in which courts presume that certain departing employees will “inevitably” reveal trade secrets to a new employer, regardless of the employee’s intent to disclosure. Therefore, courts will enjoin such employees from working for a competitor, and may even grant damages. However, this doctrine is rarely applied. The doctrine applies only to those employees with “intimate familiarity with corporate policies and strategies.” Relief may be obtained under the doctrine only after a showing of a “high probability” of disclosure. TREND: Employees and NEWCOs are asserting counterclaims for over-pursuit of claims by OLDCO. Increasingly, employees and their new employers are challenging the former employers for over-pursuit of their claims. For example, in Select Comfort Corp., the defendant in a trade secret action alleged that the plaintiff’s cease-and-desist letter to a third party constituted tortious interference with the defendant’s contract with that third party. The defendant claimed that the cease-and-desist letter was an improper and unjustified demand, which intentionally procured the breach of (defendant’s) contract with (the third party). Although the defendant was unsuccessful in that case, the decision did not entirely close the door on this type of claim. Another example of an aggressive counter-attack occurred in Best Medical International, Inc. v. Spellman, a case in Pennsylvania. Plaintiffs often assume, believe and/or allege that the former employee took trade secrets, but lack any evidence of that at the time they commence the action. This often leads to very interesting discovery disputes and may lead to awards. In Best Medical International, the defendant successfully pursued a counter-claim against the plaintiff for asserting a claim of misappropriation of trade secrets in bad faith. The defendant was awarded attorney’s fees. Although that case was decided under the Pennsylvania Uniform Trade Secret Act, the same argument could be made under the Minnesota Trade Secret Act. Another possible avenue for counter-attack may include a tort claim for abuse of process, which under Minnesota law has two elements: (1) the existence of an ulterior purpose; and (2) the act of using the process to accomplish a result not within the scope of the proceedings in which it was issued, whether or not the result might otherwise be lawfully obtained. In the right factual situation, a later malicious prosecution claim is also possible. To state a claim for malicious prosecution a plaintiff must demonstrate that: (1) the action was brought without probable cause or reasonable belief that the plaintiff would ultimately prevail on the merits; (2) the action must be instituted and prosecuted with malicious intent; and (3) the action must terminate in favor of the defendant. If the employee or NEWCO are successful in an abuse of process or malicious prosecution claim, they may be able to recover legal fees incurred in defending the wrongful proceeding. If OLDCO pursues litigation in bad faith, that also may lead to claims for bad faith under Rule 11 of the Federal Rules of Civil Procedure, Rule 11 of the Minnesota Rules of Civil Procedure and/or Minn. Stat § 549.211. V. POSSIBLE REMEDIES FACING EMPLOYEE AND/OR NEWCO. TREND: Non-compete agreements increasingly contain bond waiver provisions. If OLDCO is successful in convincing the court that it is entitled to a temporary injunction against competition, it may be required to post a bond to cover the costs and damages to the former employee and/or NEWCO if the court later determines that the injunction was in error. Federal Rule of Civil Procedure 65(c) and Minnesota Rule of Civil Procedure 65.03(a) both require a bond in an amount sufficient to cover damages to the defendant if the injunction is later determined to be improper. Minnesota state courts have discretion over the amount of the bond or whether to waive the security requirement altogether. Minnesota federal district courts are not entitled to waive the bond requirement completely, although they may reduce the bond to a nominal fee. NEWCO and the employee should seek the largest possible bond. The amount of the bond may be a significant disincentive for OLDCO to pursue its claims, and a large bond may be required to protect the employee and NEWCO from the damages they may incur as a result of an erroneously issued TRO or injunction. OLDCO might choose to sue for damages rather than or in addition to injunctive relief. Monetary damages can be recovered ancillary to equitable relief granted. The damages caused by a former employee’s breach of a non-compete agreement are measured by the business loss actually suffered as a consequence of the breach. TREND: Non-compete agreements increasingly state that OLDCO can recover attorney’s fees. Generally, attorneys’ fees are recoverable only if a statute or contract authorizes such recovery. However, Minnesota state courts have held that if OLDCO succeeds on a claim of tortious interference against NEWCO, NEWCO may be forced to pay OLDCO’s attorney’s fees under the “third-party exception” to the American rule, since NEWCO’s tortious interference directly causes OLDCO to enter litigation against its former employee to protect its rights under the non-compete agreement. Similarly, the Minnesota Uniform Trade Secret Act authorizes attorney’s fees to the successful party. TREND: Non-compete agreements typically avoid liquidated damage provisions. An interesting question that arises is whether the existence of a liquidated-damages provision in a non-compete would preclude an employer from seeking injunctive relief. Arguably, an employee who breaches her non-compete agreement should not have to suffer the further damage of an injunction. Under a theory of “efficient breach” it is acceptable for an employee to breach the contract once performance becomes more costly than damages. The employee has already contracted with her employer for a possible future breach, so there is no need for further relief by way of an injunction. In the author’s experience, this argument is very persuasive. For example, one court observed in dicta that the existence of a liquidated-damages provision obfuscated the need for a temporary injunction, since the damages clause indicates that the parties have already chosen a preferred remedy for any future breach of the non-compete agreement. The Minnesota Court of Appeals cited the existence of a liquidated-damages clause as proof that the employer would not suffer irreparable injury if a temporary injunction was not granted. However, the law is not entirely settled on the issue: other cases appear to conclude that a liquidated-damages provision does not preclude pursuit of injunctive relief. TREND: Non-compete agreements and/or other benefit plans increasingly contain forfeiture provisions. Increasingly, employers are including provisions in benefit plans and agreements conditioning an employee’s retention of stock, stock options, or other benefits on not competing with the employer for a certain time period following the employee’s termination. Sometimes the plan/agreement states that the benefit will not be provided (e.g. the employee cannot exercise a stock option) if there is a violation of a non-compete agreement. Other plans/agreements contain claw-back provisions, requiring the violating employee to pay back any prior benefit received. Minnesota courts have been willing to enforce forfeiture provisions if they pass a test of reasonableness. For example, a provision requiring an employee to forfeit cash or stock received within six months of the employee’s violation of a non-compete agreement was deemed to be reasonable and was upheld because the employee had complete control of the circumstances generating the forfeiture. In contrast, a forfeiture provision that was “not limited as to time, harm to the employer, or geographical area” was found to be an unreasonable restraint of trade. VI. ADDRESSING AND RESOLVING DISPUTES. As discussed throughout Sections I through V, NEWCO can and should do most of its analysis, planning and implementation before it hires the employee. Many of the Traps and other legal violations discussed in this article can be avoided – or at least minimized – with careful pre-hire planning. Don’t hide from OLDCO. It is a small world, especially within any given industry. “Laying low” and hoping OLDCO does not notice is almost never a successful strategy. “Cover-ups” are even worse – usually increasing suspicion, making OLDCO angry and enhancing litigation expenses and exposure. Consider open, honest and good faith communications with OLDCO. If it is going to hear about the hire anyway, why not from NEWCO? It may open the door to a quick resolution. At a minimum, it should establish NEWCO’s good faith. Negotiate with OLDCO. Offer as many concessions as possible to OLDCO (e.g., employee will not use OLDCO’s property, trade secrets, customer contacts, etc. ), while still making sure NEWCO will benefit from hiring the employee. Make reasonable proposals. If NEWCO offers reasonable concessions, OLDCO may agree to them. Even if OLDCO declines, a Court may view the concessions as a reasonable compromise under the circumstances and rule accordingly. Get the business people involved in the negotiations. Traditional “lawyer to lawyer” negotiations rarely succeed in resolving non-compete disputes. Document the commitments NEWCO is making. Honor the commitments NEWCO makes, and take steps to make sure that the employee does as well. Make sure no OLDCO information is shared or used. Keep the employee away from restricted customers as needed. Keep the employee away from recruiting and hiring as needed. Regardless of NEWCO’s settlement prospects, prepare for possible litigation. Anticipate a quick complaint, TRO motion, expedited discovery, and/or preliminary injunction hearing. Declaratory Judgment. If no agreement is reached with OLDCO and litigation is imminent, consider whether to start a declaratory judgment action. Sometimes the best defense is a good offense. Send a letter to OLDCO to ensure that all defenses and counter claims are fully reserved. Gather existing documentary and electronic evidence and know what key witnesses will say. As needed, get the pleadings ready. Before – rather than after – actions are taken, NEWCO should anticipate all issues, plan in advance, and then follow through with its agreements in order to maximize its legal rights and/or minimize its exposure. At every step, it should be reasonable, candid and act in good faith. This will make it easier to reach an agreement with OLDCO, and will make it easier (and less expensive) to explain and defend NEWCO’s positions if it ends up in litigation. Thanks to Allison Lange Garrison (former Law Clerk to Oberman Thompson & Segal, LLC; attorney with Norton Rose Fulbright) for her assistance preparing a 2010 article, portions of which are being reproduced and updated. In the past, non-compete covenants seemed to be treated the same in independent contractor agreements as they were in employment contracts. See e.g. Sealock v. Petersen, No. A06-2479, 2008 WL 314146 at *4-6 (Minn. Ct. App. Feb 5, 2008). In 2010, the Minnesota Court of Appeals held, in an unpublished decision, that the post-employment independent – consideration requirement that exists in the employment context does not apply to independent contractors. Schmit Towing, Inc. v. Frovik, No. A10-362, 2010 WL 4451572 at *3 (Minn. Ct. App. Nov. 9, 2010). Query whether the Court in Schmit Towing opened the door for more legal distinctions. See, e.g., Bennett v. Storz Broad. Co., 134 N.W.2d 892 (Minn. 1965). See, e.g., Medtronic, Inc. v. Advanced Bionics Corp., 630 N.W.2d 438, 452 (Minn. Ct. App. 2001); Dynamic Air, Inc. v. Bloch, 502 N.W.2d 796, 800 (Minn. Ct. App. 1993). Frank B. Hall & Co., Inc. v. Alexander & Alexander, Inc., 974 F.2d 1020, 1025 (8th Cir. 1992). See, e.g., Electro-Craft Corp. v. Controlled Motion, Inc., 332 N.W.2d 890 (Minn. 1983); Tenant Const., Inc. v. Mason, No. A07-0413 2008 WL 314515 (Minn. Ct. App. Feb. 5, 2008). See, e.g., Kallok v. Medtronic, Inc., 573 N.W.2d 356 (Minn. 1998); Nat’l Recruiters, Inc. v. Cashman, 323 N.W.2d 736, 741 (Minn. 1982); United Wild Rice, Inc. v. Nelson, 313 N.W.2d 628, 632 (Minn. 1982); Bennett v. Storz Broadcasting Co., 134 N.W.2d 892, 897 (Minn. 1965); Ultra Lube, Inc. v. Dave Peterson Monticello Ford-Mercury, Inc., No. C8-02-658, 2002 WL 31302981 (Minn. Ct. App. Oct. 15, 2002); Medtronic v. Hughes and St. Jude Medical, A10-998, 2011 WL 134973 (Minn. Ct. App. Jan. 18, 2011); McGrath v. MICO, Inc., A11-1087, 2012 WL 6097116 (Minn. Ct. App. Dec. 10, 2012), review denied (Feb. 19, 2013). Kallok, at 362 (Minn. 1998). McGrath at A11-1087, 2012 WL 6097116 (citing Kjesbo v. Ricks, 517 N.W.2d 585, 588 n. 3 (Minn.1994). St. Jude Med., S.C., Inc. v. Biosense Webster, Inc., No. CIV. 12-621 ADM/TNL, 2014 WL 6673664, at *2-4 (D. Minn. Nov. 24, 2014) (quoting B & Y Metal Painting, Inc. v. Ball, 279 N.W.2d 813, 816 (Minn.1979). Kallok, at 363; Medtronic, A10-998, WL 134973 at *9 (affirming an award for attorney’s fees and expenses in the amount $615,958 against the new employer for procuring an anticipatory breach and then a breach of a non-compete covenant); St. Jude Med., S.C., Inc. v. Biosense Webster, Inc., supra, (affirming denial of motion to dismiss claims for recovery of attorney’s fees). Lamminen v. City of Cloquet, 987 F.Supp. 723, 731 (D. Minn.1997) (citing United Wild Rice, Inc. v. Nelson, 313 N.W.2d 628, 632–33 (Minn.1982)); Cool-Pak, LLC v. Larsen, CIV. 11-2182 JRT/TNL, 2012 WL 1933706 (D. Minn. May 29, 2012). In contrast, “[u]nfair competition is not a stand-alone tort with specific elements.” Cenveo Corp. v. S. Graphic Sys., Inc., 784 F.Supp.2d 1130, 1142 (D. Minn.2011). “[I]t describes a general category of torts which courts recognize for the protection of commercial interests.” Id. (internal quotation marks omitted). In order to pursue a claim for unfair competition, a plaintiff must identify the underlying tort that is the basis for the claim. Id. Where a plaintiff bases its claim of unfair competition on the same underlying factual allegations as its other independent claims, the unfair competition claim is duplicative of the independent claims and must be dismissed. Guy Carpenter & Co., Inc. v. John B. Collins & Assocs., Inc., No. 05–1623, 2006 WL 2502232, at *9 (D. Minn. Aug. 29, 2006). Gieseke v. IDCA, Inc., 844 N.W.2d 210, 219 (Minn.2014), citing Witte Transportation Co. v. Murphy Motor Freight Lines, Inc., 291 Minn. 461, 193 N.W.2d 148 (1971); Wild v. Rarig, 302 Minn. 419, 234 N.W.2d 775 (1975); and United Wild Rice, Inc. v. Nelson, 313 N.W.2d 628 (Minn.1982). Id. ; See also Thomas v. UnitedHealth Grp., Inc., No. CIV. 12-47 DWF/JSM, 2014 WL 5307579, at *18 (D. Minn. Oct. 16, 2014). Bio Med Technologies Corp. v. Sorin CRM USA, Inc., No. 14-CV-0154-WJM-CBS, 2015 WL 428580, at *3 (D. Colo. Jan. 30, 2015), quoting Hanks v. Hubbard Broad., Inc., 493 N.W.2d 302, 308 (Minn.App.1992) (citing Lopus v. L & L Shop–Rite, Inc., 430 N.W.2d 757, 760 (1988)). Oelschlager v. Magnuson, 528 N.W.2d 895, 902 (Minn. Ct. App. 1995). Hentges v. Thomford, 569 N.W.2d 424, 427 (Minn. Ct. App. 1997). Hagen v. Burmeister & Assoc., Inc., 633 N.W.2d 497, 504 (Minn. 2001). Id. at 505 (citing Fahrendorff ex rel. Fahrendorff v. North Homes, Inc., 597 N.W.2d 905, 910 (Minn. 1999)). Ransom v. VFS, Inc., 918 F. Supp. 2d 888, 895 (D. Minn. 2013). (Simply because a corporation may be vicariously liable for its employee’s allegedly tortious conduct, it does not follow that the employee is not liable for her own conduct). I.B.M. Corp. v. Seagate Tech., Inc., 941 F. Supp. 98, 101 (D.Minn.1992) (citing Surgidev, 648 F. Supp., at 695). “[A] claim of trade secret misappropriation should not act as an ex post facto covenant not to compete.” I.B.M. Corp. v. Seagate Tech., 941 F. Supp. at 101 (citing E.W. Bliss Co. v. Struthers-Dunn, Inc., 408 F.2d 1108, 1112–13 (8th Cir. 1969)); see also Lexis-Nexis v. Beer, 41 F. Supp. 2d 950, 959 (D. Minn. 1999) (following Seagate and refusing to grant injunction allowing employer to “obtain, through the back door of trade-secret law, the kind of unreasonable restriction it could not obtain via its original non-compete agreement”). See Eaton Corp. v. Giere, 971 F.2d 136, 141 (8th Cir. 1992) cert. denied, 506 U.S. 1034 (1992). See Minn. Stat. §§ 325C.01–08 (setting out the statutory definition of trade secret misappropriation). Id. § 325C.01, subd. 3. See Dataphase Sys., Inc. v. C.L. Sys. Inc., 640 F.2d 109, 113 (8th Cir. 1981) (providing the test for entitlement to injunctive relief in the Eighth Circuit); Dahlberg Bros., Inc. v. Ford Motor Co., 137 N.W.2d 314, 321–22 (Minn. 1965) (setting out the Minnesota state test for injunctive relief). Electro-Craft Corp. v. Controlled Motion, Inc., 332 N.W.2d 890, 899–901 (Minn. 1983). At the time such an agreement is made, the employer must provide the employee with written notice that the agreement “does not apply to an invention for which no equipment, supplies, facility or trade secret information of the employer was used and which was developed entirely on the employee’s own time, and (1) which does not relate (a) directly to the business of the employer or (b) to the employer’s actual or demonstrably anticipated research or development, or (2) which does not result from any work performed by the employee for the employer.” Minn. Stat. § 181.76. Existing employees should be provided independent consideration to support such agreements. See Eaton Corp. v. Giere, 971 F.2d 136, 139–40 (8th Cir. 1992). See, e.g., Banks v. Unisys Corp., 228 F.3d 1357, 1359 (Fed. Cir. 2000). See, e.g., Eaton Corp., 971 F.2d at 139; Sanitary Farm Dairies, Inc. v. Wolf, 112 N.W.2d 42 (Minn. 1961). Marn v. Fairview Pharm. Servs., LLC, 756 N.W.2d 117, 121 (Minn.Ct.App.2008); see also Rehab. Specialists, Inc. v. Koering, 404 N.W.2d 301, 304 (Minn.Ct.App.1987) (an employee’s duty of loyalty prohibits an employee from competing with the employer while still employed, but employees who wish to leave and start businesses should not be unduly hindered). “[A]n employee breaches the duty of loyalty, and thus engages in employment misconduct, by encouraging a third party to terminate a contract between the employer and the third party [through solicitation].” Schmidt v. Blue Lily Farms LLC, Civ. No. 08–1398, 2009 WL 2151135, at *2 (Minn. Ct. App. July 21, 2009); Hood Packaging Corp. v. Steinwagner, No. CIV. 14-02979 MJD, 2014 WL 4436105, at *5-6 (D. Minn. Sept. 9, 2014). See, e.g., Triple Five of Minnesota, Inc. v. Simon, 404 F.3d 1088, 1095 (8th Cir. 2005); Gunderson v. Alliance of Computer Professionals, 628 N.W.2d 173, 186 (Minn. Ct. App.2001). Although some Minnesota cases have referred to fiduciary-duty claims as equitable, other cases recognize a tort claim with the same elements as a negligence claim. McGrath v. MICO, Inc., A11-1087, 2012 WL 6097116 (Minn. Ct. App. Dec. 10, 2012), review denied (Feb. 19, 2013) (Comparing R.E.R. v. J.G., 552 N.W.2d 27, 30 (Minn.App.1996) (observing that “actions for the breach of a fiduciary duty generally sound in equity”) with Padco, 444 N.W.2d at 891 (explaining that fiduciary-duty claim requires proof of same elements as negligence claim). Viking Produce, Inc. v. Northstar Produce, LLC, No. A11-635, 2012 WL 171391 (Minn. Ct. App. Jan. 23, 2012). See, e.g., Matter of Villa Maria, Inc., 312 N.W.2d 921, 922 (Minn. 1981); Diedrick v. Helm, 14 N.W.2d 913, 919 (Minn. 1944); Nygaard v. Nygaard, A13-0276, 2014 WL 349647 (Minn. Ct. App. Feb. 3, 2014). Factors relevant to the “line of business” prong of the test include: (1) whether the corporation had an interest or expectancy in the opportunity growing out of a contractual right; (2) whether the opportunity was related to the corporation’s current business purposes and activities; (3) whether the opportunity represented an area of logical and natural expansion for the corporation; (4) whether the opportunity raised the specter of unfair or prospectively harmful competition; (5) whether the corporation had the financial ability and resources to acquire or implement the opportunity; and (6) whether the opportunity included activities within the fundamental knowledge, experience, facilities, personnel, equipment, and abilities of the corporation. Miller v. Miller, 222 N.W.2d 71, 81 (1974). See, e.g., Advanced Bionics Corp. v. Medtronic, 29 Cal. 4th 697, 705, 59 P.3d 231, 236 (2002) (observing that while California courts cannot enjoin a lawsuit in another state, even where the out-of-state action seeks to enforce a broad non-compete provision against a California resident, the courts might be permitted to decline to honor the resulting judgment by the other state’s court). See, e.g., St. Jude Medical S.C., Inc. v. Hasty, No. Civ. 06-4547, 2007 WL 128856 (D. Minn. Jan. 12, 2007); Metro Networks Comm’cns L.P. v. Zavodnick, No. Civ. 03-6198 (RHF/AJB), 2004 WL 73591 at *4 (D. Minn. Jan. 15, 2004); Medtronic, Inc. v. Camp, No. Civ. 02-285 (PAM/JGL), 2002 WL 539073 (D. Minn. Apr. 1, 2002); Medtronic, Inc. v. Advanced Bionics Corp., 630 N.W.2d 438, 452-453 (Minn. Ct. App. 2001); ELA Medical, Inc. v. Arrhythmia Management Associates, Inc., Civ. No. 06-3580, 2007 WL 892517 at *1 (D. Minn. March 21, 2007); Cook Sign v. Combs, A07-1907, 2008 WL 3898267 (Minn. Ct. App. Aug. 26, 2008). E.g., CH Robinson Worldwide, Inc. v. FLS Transportation, Inc., 772 N.W.2d 528 (Minn. Ct. App. 2009); Eagle Creek Software Servs., Inc. v. Jones, No. CIV. 14-4925 ADM/FLN, 2015 WL 1038534, at *3 (D. Minn. Mar. 10, 2015) (absent minimum contacts, due process “is satisfied when a defendant consents to personal jurisdiction by entering into a contract that contains a valid forum selection clause.” (citations omitted); Capsource Fin., Inc. v. Moore, 2012 U.S. Dist. LEXIS 88618, *9 (D. Minn. June 27, 2012) (a forum selection clause is enforceable unless it is invalid or enforcement would be unreasonable and unjust). E.g., Menzies Aviation (USA), Inc. v. Wilcox, CIV. 13-2702 MJD/JJK, 2013 WL 5663187 (D. Minn. Oct. 17, 2013) (declining to apply more favorable Florida non-compete law where the record demonstrates no connection to Florida). Freeman v. Duluth Clinic, Inc., 334 N.W.2d 626 (Minn. 1983). Note, Minnesota law recognizes a difference between non-compete agreements associated with employment contracts and those arising as part of the sale of a business. Although the general rule is that non-compete agreements are strictly construed, the Supreme Court has noted that many of the reasons for that rule are not present when such an agreement is entered into in connection with the sale of a business. B & Y Metal Painting v. Ball, 279 N.W.2d 813, 815 (Minn.1979; see Sealock v. Peterson, No. A06-2479, 2008 WL 314146, at *4 (Minn. Ct. App. Feb. 5, 2008). The reasonableness of a non-compete agreement in the sale of a business is determined by a three-part test: (1) whether the restriction exceeds the protection necessary to secure the goodwill purchased; (2) whether the restriction places an undue hardship on the covenantor; and (3) whether the restriction has a deleterious effect on the interests of the general public. Kunin v. Kunin, No. CO-99-206, 1999 WL 486814, at *3 (Minn. Ct. App. July 13, 1999) (citing Bess v. Botham, 257 N.W.2d 791, 795 (Minn. 1977). Bennett v. Storz Broad. Co., 134 N.W.2d 892 (Minn. 1965); Lemon v. Gressman, No. 08-00-1739, 2001 WL 290512 at *1 (Minn. Ct. App. Mar. 27, 2001); Gavaras v. Greenspring Media, LLC, CIV. 13-3566 ADM, 2014 WL 117557 (D. Minn. Jan. 13, 2014). The same principles apply to the sale of shares of a business. A non-compete agreement that is signed in connection with the sale of shares of a business is enforceable, even if no separate consideration was paid for the agreement. People’s Cleaning & Dyeing Co. v. Share, 210 N.W. 397 (1926); Bess v. Bothman, 257 N.W.2d 791 (Minn.1977); Conway v. C.R. Bard, Inc., No. 14-CV-1466 PJS/BRT, 2015 WL 627928, at *3-5 (D. Minn. Feb. 12, 2015). Bennett at 898; Medtronic, Inc. v. Sun, Nos. C7-97-1185, C9-97-1186, 1997 WL 729168, at *3 (Minn. Ct. App., Nov. 25, 1997). Nat’l Recruiters, Inc. v. Cashman, 323 N.W.2d 736, 740 (Minn. 1982); Davies & Davies Agency, Inc. v. Davies, 298 N.W.2d 127, 133 (Minn. 1980) (concluding that a non-compete agreement was not ancillary to the employment contract where the employee had been made aware of its existence during employment negotiations but was not given a chance to examine it despite requesting to see it); Midwest Sports Mktg. v. Hillerich & Bradsby of Canada, Ltd., 552 N.W.2d 254, 265–66 (Minn. Ct. App. 1996) (refusing to enforce an agreement whose terms were not presented to the employee until after he began work); FSI Int’l, Inc. v. Shumway, No. Civ. 02-402RHKSRN, 2002 WL 334409, (D. Minn. Feb. 26, 2002) (denying motion for preliminary injunction or TRO on the basis that the mid-stream non-compete agreement was not supported by sufficient independent consideration and there was no evidence of a competing product); J. K. Harris & Co., LLC v. Dye and ABC Co., No. Civ. 01-2041RHKJMM, 2001 WL 1464728, (D. Minn. Nov. 16, 2001) (denying TRO because Court found that covenant not to compete was entered into after employment began and was not supported by adequate consideration); Drummond American LLC v. Share Corporation, Civ. No. 08-5077JRTRLE, 2010 WL 3167326 (D. Minn. July 23, 2010) (recent summary of Minnesota decisions regarding the independent consideration requirement and great example of the factual analysis needed); Menzies Aviation (USA), Inc. v. Wilcox, CIV. 13-2702 MJD/JJK, 2013 WL 5663187 (D. Minn. Oct. 17, 2013) (denying motion for TRO against former employee where employee had already started his employment when he signed agreement and received no new benefits under agreement). Progressive Tech. Inc., v. Shupe, No. A04-1110, 2005 WL 832059 (Minn. Ct. App. April 12, 2005). See also Tonna Heating Cooling, Inc., v. Waraxa, No. CX-02-368, 2002 WL 31687601, at *3 (Minn. Ct. App. Dec. 3, 2002). E.g., Bennett v. Storz Broad. Co., 270 Minn. 525, 535-36, 134 N.W.2d 892, 899-900 (1965). Jostens, Inc. v. Nat’l Computer Sys., Inc., 318 N.W.2d 691, 703 (Minn. 1982). Schmit Towing, Inc. v. Frovik, No. A10-362, 2010 WL 4451572 at *3 (Minn. Ct. App. Nov. 9, 2010). Sanborn, 500 N.W.2d 161, 164. Nat’l Recruiters, Inc. v. Cashman, 323 N.W.2d 736, 740 (Minn. 1982). Northwest Publications, L.L.C. v. Star Tribune Company, No. C6-07-003489 (Ramsey Co. Dist. Ct. Sept. 18, 2007). But see Witzke v. Mesabi Rehabilitation Svcs., Inc., No. A07-0421, 2008 WL 314535, at *3 (Minn. Ct. App. Feb. 5, 2008), overruled on other grounds, 768 N.W.2d 127 (Minn. Ct. App. 2009) (finding that the employee’s rise within the company, continued employment for many years, training, and increased responsibility constituted sufficient consideration); TestQuest, Inc. v. LaFrance, No. C0-02-783, 2002 WL 1969287 (Minn. Ct. App. Aug. 27, 2002) (finding that access to an employer’s confidential information was adequate consideration for a non-compete agreement). Freeman v. Duluth Clinic, Inc., 334 N.W.2d 626 (Minn. 1983); BFI-Portable Services. Inc. v. Kemple, No. C5-89-1172, 1989 WL 138978 (Minn. Ct. App. Nov. 21, 1989). Softchoice, Inc. v. Schmidt, 763 N.W.2d 660, at *4 (Minn. Ct. App. 2009) (applying Missouri law). Universal Hosp. Servs., Inc. v. Hennessey, No. Civ.01-2072, 2002 WL 192564 (D. Minn. Jan. 23, 2002). Guidant Sales Corp. v. Baer, No. 09-CV-0358, 2009 WL 490052, at *2 (D. Minn. Feb. 26, 2009); cf. Davies & Davies Agency, Inc. v. Davies, 298 N.W.2d 127, 131 (Minn. 1980) (finding independent consideration where the employee continued his employment for ten years after signing the agreement and advanced to a position that would not have been open to him if he had not signed the contract). But see Sanborn, 500 N.W.2d, at 164 (finding no independent consideration because the employee received nothing more than what he was promised in his initial employment contract); Menzies Aviation (USA), Inc. v. Wilcox, CIV. 13-2702 MJD/JJK, 2013 WL 5663187 (D. Minn. Oct. 17, 2013) (finding no independent consideration where employee received no promotion, special training, or other benefit in return for signing the Non–Compete). See Guidant Sales Corp., No. 09-CV-0358, 2009 WL 490052, at *3 (D. Minn. Feb. 26, 2009). (“[I]n deciding whether a non-compete agreement is supported by independent consideration, a court must consider the entire context, and not just the money”). See Sheehy v. Bodin, 349 N.W.2d 353, 354 (Minn. Ct. App.1984) (stating that past consideration cannot support a future promise). Softchoice, Inc. v. Schmidt, 763 N.W.2d 660 (Minn. Ct. App. 2009). Tenant Const., Inc. v. Mason, No. A07-0413, 2008 WL 314515, at *2 (Minn. Ct. App. Feb. 5, 2008). From a careful reading of this case, the author infers that the court may have been concerned about deception by the employee regarding his departure to a competing employer. Had the employee been more straightforward with his employer before he terminated his job, it is possible that the court would have viewed the $500 consideration differently. Also, the employee received other consideration, in addition to the $500 payment. E.g., Gavaras v. Greenspring Media, LLC, CIV. 13-3566 ADM, 2014 WL 117557 (D. Minn. Jan. 13, 2014) (non-compete agreement between an employee and his former employer was unclear, vague, overly broad and incomplete, and thus was unenforceable, where the agreement, which lacked an effective date, was specifically conditioned on the terms of a written employment agreement, which did not exist). E.g., Ecolab, Inc. v. Gartland, 537 N.W.2d 291, 295 (Minn. Ct. App. 1995). See, e.g., Burke v. Fine, 608 N.W.2d 909, 912 (Minn. Ct. App. 2000) (invalidating non-compete agreement where there was no explicit language stating that the non-compete survived the expiration of the contract) (review denied June 13, 2000). Saliterman v. Finney, 361 N.W.2d 175, 178 (Minn. Ct. App. 1985). Inter-Tel, Inc. v. CA Commc’ns, Inc., No. Civ. 02-1864PAMRLE, 2003 WL 23119384, at *4 (D. Minn. Dec. 29, 2003) (refusing to assign a non-compete agreement where the contract was silent on the assignability of the agreement). Guy Carpenter & Co., Inc. v. John B. Collins & Assoc., Inc., No. 05-1623, 2006 WL 2502232, at *5 (D. Minn. Aug. 29, 2006) (refusing to assign a non-compete agreement to a new employer where the former employer failed to obtain consent from employees before assigning the non-compete to the new company, as specified in the employees’ contract). Alpha Real Estate Co. of Rochester v. Delta Dental Plan of Minn., 664 N.W.2d 303, 312 (Minn. 2003). Great America Leasing Corporation v. Dolan, Civ. No. 10-4631 JRTJJK, 2011 WL 334829 (D. Minn. Jan. 31, 2011). (citing Arizant Holdings, Inc. v. Gust, 668 F.Supp.2d 1194, 1202 (D. Minn. 2009). See, e.g., Associated Cinemas of America v. World Amusement Co., 276 N.W.2d 7, 10 (Minn. 1937). See Marso v. Makato Clinic, Ltd., 153 N.W.2d 281, 290 (Minn. 1967); Webb Pub. Co. v. Fosshage, 426 N.W.2d 445, 449 (Minn. Ct. App. 1988) (holding that a wrongful termination may preclude enforcement of a restrictive covenant) (citing Edin v. Josten’s Inc., 343 N.W.2d 691, 694 (Minn. Ct. App. 1984)); Prow v. Medtronic, Inc., 770 F.2d 117, 121 (8th Cir. 1985) (holding that an employer does not breach its compensation obligations to an employee when it reduces an employee’s sales territory—and by extension his earnings—because the purpose of the reduction was to alleviate employee “burn-out” and encourage employees to remain with the employer); Hart Forms & Sys., Inc. v. Goettsch, No. C3-90-1791, 1990 WL 195473, at *3 (Minn. Ct. App. Dec. 11, 1990) (recognizing that wrongful termination can constitute a breach of an employment contract but concluding that the employer’s termination of the employee was not wrongful because it provided the employee with the requisite notice of poor performance prior to termination). Franklin v. Carpenter, 244 N.W.2d 492, 495 (Minn.1976). However, where a promisor received what [s]he bargained for, however, there is no failure of consideration.” In re MJK Clearing, Inc., 408 F.3d 512, 515 (8th Cir.2005) (applying Minnesota law). In other words, the court will not inquire as to what will occur after an alleged breach of contract; it need only determine whether the promisor received that for which [s]he bargained. C.H. Robinson Worldwide, Inc. v. Rodriguez, CIV. 12-264 DSD/SER, 2012 WL 4856245 (D. Minn. Oct. 12, 2012) (denying motion to dismiss for failure of consideration where employee received restricted stock, and then subsequent divestment, due to an alleged breach of contract). See Minn. Mining and Mfg. Comp. v. Kirkevold¸ 87 F.R.D. 324, 336 (D. Minn. 1980). Northwest Publications, L.L.C. v. Star Tribune Company, No. C6-07-003489 (Ramsey Co. Dist. Ct. Sept. 18, 2007). See Empiregas, Inc. of Ardmore v. Vernon Hardy, 487 So.2d 244, 249 (Ala. 1985), cert denied, 476 U.S, 1116 (1986); Richardson v. Permacel Tape Corp., 244 F.2d 80, 83-4 (5th Cir. 1957). Davies & Davies Agency, Inc. v. Davies, 298 N.W.2d 127 (Minn. 1980). See, e.g., Fields Found Ltd. v. Christiansen, 309 N.W.2d 125 (Wis. Ct. App. 1981). Telxon Corp. v. Hoffman, 720 F. Supp. 657 (N.D. Ill. 1989). BDO Seidman v. Hirshberg, 93 NY.2d 382, 394 (N.Y. 1999). See Davies, 298 N.W.2d at 134; Dean Van Horn Consulting Assoc. v. Wold, 395 N.W.2d 405 (Minn. Ct. App. 1986); Ikon Office Solutions, Inc. v. Dale, 170 F. Supp.2d 892, (8th Cir. 2001); see also Klick v. Crosstown State Bank of Ham Lake, Inc., 372 N.W.2d 85 (Minn. Ct. App. 1985) (observing that courts are not required to modify non-compete agreements that appear unreasonable). Guercio v. Production Automation Corporation, 664 N.W.2d 379, 384, N.2 (Minn. Ct. App. 2003); Gavaras v. Greenspring Media, LLC, CIV. 13-3566 ADM, 2014 WL 117557 (D. Minn. Jan. 13, 2014) (“Blue-penciling this restrictive covenant does not make sense. Modifying this agreement would require more than modifying the duration and territorial scope. The Court would need to rewrite the agreement wholesale, and rewriting would require the Court to divine the parties’ intent at the time of contracting, seventeen years after the fact…”). Metro Networks Comm. v. Zavodnick, No. Civ. 03-6198, 2004 WL 73591 (D. Minn. Jan. 15, 2004) (enforcing a one-year restriction on competition in the Twin Cities metropolitan area); Universal Hosp. Serv., Inc. v. Hennessy, No. Civ. 01-2072 (PAM/JGL) 2002 WL 192564, (D. Minn. Jan. 23, 2002) (restricting an employee from competing within a 100-mile radius of the employer for one year). See, e.g., Ikon Office Solutions, Inc., 170 F. Supp.2d 892, at 895 (reducing time period of noncompetition from five years to three years, because five years was too long, placed undue hardship on the employee, and did not serve any legitimate business needs of the former employer); Dean Van Horn, 395 N.W.2d at 410 (modifying a three-year restriction to one year). See, e.g., Webb Publishing Co. v. Fosshage, 426 N.W.2d 445, 448 (Minn. Ct. App.1988) (citing Dahlberg Brothers, Inc. v. Ford Motor Co., 137 N.W.2d 314, 321‑22 (Minn. 1965)). Vital Images, Inc. v. Martel, No. Civ. 07-4195, 2007 WL 3095378 at *3 (D. Minn. Oct. 19, 2007) (eighteen months); Timm & Assoc., Inc. v. Broad, No. Civ. 05-2370, 2006 WL 3759753, at *4 (D. Minn. Dec. 21, 2006) (two years); Overholt Crop Ins. Serv. Co., Inc. v. Bredeson, 437 N.W.2d 698, 704 (Minn. Ct. App. 1989) (two years). Boston Scientific Corporation v. Kean, Civ. No. 11-419 (SRN/FLN), 2011 WL 853644 (D. Minn. March 9, 2011) (quoting Guidant Sales Corp v. Baer, No. 09-CV-0358 (PJS/FLN), 2009 WL 490052, at *4 (D. Minn. Feb. 26, 2009). See, e.g., Ring Computer Sys. v. Paradata Computer Networks, No. C4-90-889, 1990 WL 132615 (Minn. Ct. App. Sept. 18, 1990). See, e.g., Dynamic Air, Inc. v. Bloch, 502 N.W.2d 796, 800 (Minn. Ct. App. 1993) (observing that a non-compete agreement with no geographical limit “will often be held to be unreasonable”). But see Medtronic v. Hedemark, No. A08-0987, 2009 WL 511760, at *3–5 (Minn. Ct. App. Mar. 3, 2009) (upholding a global restriction on competition for a multinational corporation, because the other restrictions in the non-compete were reasonable). Overholt, 437 N.W.2d 698; Satellite Indus. Inc. v. Keeling, 396 N.W.2d 635 (Minn. Ct. App.1986). Dynamic Air, Inc. v. Bloch, 502 N.W.2d 796, 799 (Minn. Ct. App. 1993). (Instead of a per se rule, “[t]he covenant must be scrutinized as a whole to determine whether it is reasonable.” Id. at 800. Medtronic v. Hughes and St. Jude Medical, A10-998, 2011 WL 134973 (Minn. Ct. App. Jan. 18, 2011). Cook Sign Co. v. Combs, No. A07-1907, 2008 WL 3898267, at *7 (Minn. Ct. App. Aug. 26, 2008) (enforcing a non-compete agreement restricting an employee from competing in three states in which the employer does business and has customers); Salon 2000, Inc. v. Dauwalter, No. A06-1227, 2007 WL 1599223, at *2 (Minn. Ct. App. June 5, 2007) (affirming a non-compete agreement restricting an employee from working as a stylist within a ten-mile radius of the employer’s business on the ground that customers will seek out the stylist rather than the services of the salon “if the stylist is sufficiently close” geographically to the salon); Madsen v. Spectro Alloys Corp., No. C7-98-225, 1998 WL 373067, at *2 (Minn. Ct. App. July 7, 1998) (concluding that a restriction from competing in “any market in which Spectro does business in the United States” was not unreasonably broad). Medtronic v. Hughes and St. Jude Medical, A10-998, 2011 WL 134973 (Minn. Ct. App. Jan. 18, 2011) (world-wide scope was deemed reasonable because it was limited to certain cardiology products, and the confidential information that the employee obtained while working with the former employer would be potentially relevant to his sales of products at the new employer in any market). Kallok v. Medtronic, Inc., 573 N.W.2d 356 (Minn. 1998). McGrath v. MICO, Inc., A11-1087, 2012 WL 6097116 (Minn. Ct. App. Dec. 10, 2012), review denied (Feb. 19, 2013) (citing Kjesbo v. Ricks, 517 N.W.2d 585, 588 n. 3 (Minn.1994). Medtronic v. Hughes and St. Jude Medical, A10-998, 2011 WL 134973 (Minn. Ct. App. Jan. 18, 2011), citing Kjesbo v. Ricks, 517 N.W.2d 585, 588 (Minn. 1994) (quoting Restatement (Second) of Torts § 773 (1979)). Viking Produce, Inc. v. Northstar Produce, LLC, A11-635, 2012 WL 171391 (Minn. Ct. App. Jan. 23, 2012). Select Comfort Corp. v. Sleep Better Store, LLC, Civ. No. 11-621 (JNE/JSM), 2012 WL 716667 (D. Minn. March 2, 2012). Kallok v. Medtronic, Inc., 573 N.W.2d 356, 362 (Minn.1998). Sysdyne Corp. v. Rousslang, 860 N.W.2d 347, 351-54 (Minn. 2015). Id. (citing Kjesbo v. Ricks, 517 N.W.2d 585, 588 (Minn.1994)). Sysdyne Corp. v. Rousslang, No. A13–0898, 2014 WL 902713, at *4 (Minn. App. Mar. 10, 2014). Medtronic, Inc. v. Hughes and St. Jude Medical, No. A10-998, 2011 WL 134973, at *8 (Minn. Ct. App. Jan. 18, 2011). Rehabilitation Specialists, Inc. v. Koering, 404 N.W.2d 301, 304 (Minn. Ct. App.1987). Benfield, Inc. v. Moline, No. Civ. 04-3513, 2006 WL 452903 (D. Minn. Feb. 22, 2006) (internal quotation marks omitted). See Sanitary Farm Dairies, Inc. v. Wolf, 112 N.W.2d 42, 47–48 (Minn. 1961). Signergy Sign Group v. Adam, Nos. A04-70, A04-147, 2004 WL 2711312 (Minn. Ct. App. Nov. 30, 2004) (holding that an employee did not breach his fiduciary duty, because even though he contemplated starting his own business for several months and had spoken to two suppliers prior to his departure, the bulk of the work on the new business took place after he left); see also Reliastar Life Ins., Co. v. KMG Am. Corp., No. A05-2079, 2006 WL 2529760 (Minn. Ct. App. Sept. 5, 2006) (concluding that the employees had not breached their duty of loyalty). But see Workers’ Compensation Recovery, Inc. v. Marvin, No A03-1549, 2004 WL 1244404 (Minn. Ct. App. 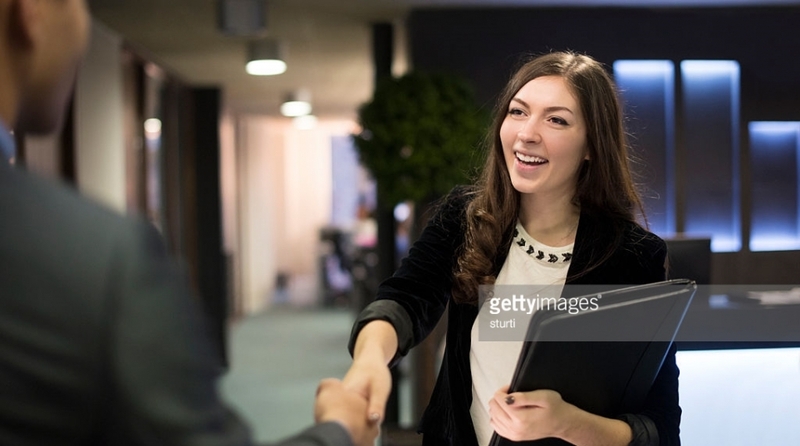 June 8, 2004) (upholding a temporary injunction after finding that an employer would likely succeed in proving that a former employee breached her duty of loyalty by notifying the employer’s biggest customer that she would soon be starting a business that would compete with the employer). See, e.g. Hough Transit, Ltd. v. Nat’l Farmers Org., 472 N.W. 2d 358, 361 (Minn. Ct. App. 1991). Viking Produce, Inc. v. Northstar Produce, LLC, No. A11-635, 2012 WL 171391 at 3 (Minn. Ct. App. Jan. 23, 2012). Id, citing United Wild Rice, 313 N.W.2d at 633 (applying a substantially similar competitor’s privilege to a defendant who was no longer employed by plaintiff and who began to compete after the parties’ non-compete agreement had expired). See Guy Carpenter & Co., Inc. v. John B. Collins & Assocs., Inc., Civ. No. 05–1623, 2006 WL 2502232, at *2 (D. Minn. Aug. 29, 2006) (citing I–Sys., Inc. v. Softwares, Inc., Civ. No. 21951, 2005 WL 1430323, at *5 (D.Minn. Mar. 7, 2005)). Id. (citing Lasermaster Corp. v. Sentinel Imaging, 931 F.Supp. 628, 637 (D.Minn.1996)). See Harley Auto. Grp., Inc. v. AP Supply, Inc., CIV. 12-1110 DWF/LIB, 2013 WL 6801221 (D. Minn. Dec. 23, 2013 ( holding that list of car dealerships, account numbers, addresses, telephone numbers, and sometimes the name of a contact person are not trade secrets), citing Blackburn, Nickels & Smith, Inc. v. Erickson, 366 N.W.2d 640, 645 (Minn.Ct.App.1985); Lasermaster Corp., 931 F.Supp. at 637–38 (holding a customer list, which included contact information for each customer, did not constitute a trade secret); NewLeaf Designs, LLC v. BestBins Corp., 168 F.Supp.2d 1039, 1043–44 (D.Minn.2001) (citing Lasermaster and holding that plaintiff’s assertion that customer list was a trade secret failed at preliminary injunction stage). Cf. Surgidev Corp. v. Eye Tech., Inc., 648 F.Supp. 661, 682 (D.Minn.1986) (holding that identity of ophthalmologists who were high volume implanters was protectable as trade secret; considering testimony demonstrating that the identity of this category of ophthalmologists is considered confidential in the industry and not readily accessible to others); see also Fox Sports Net North, LLC v. Minn. Twins P’ship, 319 F.3d 329, 336 (8th Cir. 2003) (holding that obsolete information and knowledge of industry contact people are not trade secrets); Ad Associates, Inc. v. Coast to Coast Classifieds, Inc., No. 04-3418, 2005 WL 3372968 (D. Minn. Dec. 12, 2005) (holding that customers’ names and fax numbers are not trade secrets); Blackburn, Nickels & Smith, Inc. v. Erickson, 366 N.W.2d 640, 645 (Minn. Ct. App. 1985); see also Internet Inc. v. Tensar Polytechnologies, Inc., No. 05-317, 2005 WL 2453170, at *9 (D. Minn. Oct. 3, 2005) (“[C]ustomer lists, even with specific information about those customers attached to them, are generally not considered to rise to the level of a trade secret.”). Surgidev Corp. v. Eye Technology, Inc., 648 F. Supp. 661 (D. Minn. 1986), aff’d 828 F.2d 452 (8th Cir. 1987). Id. But see Lasermaster Corp. v. Sentinel Imaging, 931 F. Supp. 628, 637 (D. Minn. 1996). See, e.g., id. ; Guy Carpenter & Co. v. John B. Collins & Assocs., No. 05-1623, 2006 WL 2502232 (D. Minn. Aug. 29, 2006) (refusing to protect client identities, preferences, and purchasing history); Internet Inc. v. Tensar Polytechnologies, Inc., No. 05-317, 2005 WL 2453170, at *9 (D. Minn. Oct. 3, 2005) (“[C]ustomer lists, even with specific information about those customers attached to them, are generally not considered to rise to the level of a trade secret.”). See Cenveo Corp. v. S. Graphic Sys., Inc., No. 08-5521, 2009 WL 161210 (D. Minn. Jan. 22, 2009) (protecting job history information that included records of transactions and internal costs given by a former employee to Southern Graphic, a competitor of Cenveo); Equus Computer Sys., Inc. v. Northern Computer Sys., Inc., No. 01-657, 2002 WL 1634334 (D. Minn. July 22, 2002) (protecting the identity of “designated systems group” (DSG) customers—manufacturers who incorporate Equus computers into their products and systems—as well as information compiled by Equus about non-DSG customers’ buying, payment, marketing, and pricing history, though not their identities). Cherne Indus., Inc. v. Grounds & Assocs., 278 N.W.2d 81, 90–91 (Minn. 1979). See, e.g., Reliastar Life Ins. Co. v. KMG America Corp., No. A05-2079, 2006 WL 2529760 (Minn. Ct. App. Sept. 5, 2006); United Prods. Corp. of America, Inc. v. Cederstrom, No. A05-1688, 2006 WL 1529478 (Minn. Ct. App. June 6, 2006). But see Kratzer v. Welsh Cos., LLC, 771 N.W.2d 14 (Minn. 2009) (distinguishing the case from Fox Sports and Lasermaster and concluding that Welsh’s customer lists are trade secrets because they are not readily available and are considered by the relevant industry to be highly proprietary). Electro-Craft at 901 (quoting Minn. Stat. § 325C.01, subd. 5(ii)). Electro-Craft at 903 (finding no misappropriation where employer never treated information as secret, despite existence of agreement prohibiting the taking of secrets). Lasermaster Corp. v. Sentinel Imaging, 931 F. Supp. 628, 636 (D. Minn. 1996). Surgidev Corp. v. Eye Technology, Inc., 648 F. Supp. 661, 663, 693–94 (D. Minn. 1986), aff’d 828 F.2d 452 (8th Cir. 1987). See I.B.M. Corp. v. Seagate Tech., Inc., 941 F. Supp. 98, 101 (D.Minn.1992); Minn. Stat. § 325C.02(a). Conus Comm’cns Co. Ltd. P’ship v. Hubbell, No. C5-99-2131, 2000 WL 979133, at *3 (Minn. Ct. App. 2000) (refusing to find intent where employer did not provide notice that information was confidential, had no agreement with employee to that effect, and failed to implement adequate safety measures to protect confidential information). See, e.g., PepsiCo, Inc. v. Redmond, 54 F.3d 1262, 1269 (7th Cir. 1995). Lexis-Nexis v. Beer, 41 F. Supp. 2d at 955. NewLeaf Designs, LLC v. BestBins Corp., 168 F. Supp. 2d 1039, 1044–45 (D. Minn. 2001). See H & R Block v. Majkowski, 410 F. Supp. 2d 1, 3 (D.D.C. 2006); Medtronic, Inc. v. Advanced Bionics Corp., 630 N.W.2d 438 (Minn. Ct. App.2001); Edin v. Jostens, Inc., 343 N.W.2d 691 (Minn. Ct. App.1984). Id at 7, citing Prof’l Real Estate Investors, Inc. v. Columbia Pictures Indus., Inc., 508 U.S. 49, 60, 113 S.Ct. 1920, 123 L.Ed.2d 611 (1993). Best Medical International, Inc. v. Spellman, Civ. Nos. 07-1709, 08-1404, 09-1194, 2011 WL 6749036 (W.D.Pa. Dec. 22, 2011). See Questar Data Systems, Inc. v. Service Management Group, Inc., 502 F.Supp.2d 960, 963 (D. Minn. 2007), citing, Hoppe v. Klapperich, 28 N.W.2d 780, 786 (1947). Kellar v. Von Holtum, et al., 568 N.W.2d 186, 192 (Minn. Ct. App. 1997). See, Progress Aviation, A.G. v. Republic Airlines, WL 15157 (D. Minn. December 12, 1986); Dollar Travel Agency v. Northwest Airlines, 354 N.W.2d 880, 883 (Minn. Ct. App. 1984); Paidar v. Hughes, 615 N.W.2d 276, 281 (Minn. 2000). See Webb Publishing Co. v. Fosshage, 426 N.W.2d 445, 448 (Minn. Ct. App.1988) (citing Dahlberg Brothers, Inc. v. Ford Motor Co., 137 N.W.2d 314, 321‑22 (Minn. 1965)). See Webb Publishing Co., 426 N.W.2d, at 448. See Dataphase Sys., Inc. v. C.L. Sys., Inc., 640 F.2d 109, 113 (8th Cir. 1981); Boston Scientific Corporation v. Kean, Civ. No. 11-419 (SRN/FLN), 2011 WL 853644 (D. Minn. March 9, 2011). (recent U.S. District Court summary and analysis of the factors). Winter v. Natural Res. Def. Council, Inc., 555 U.S. 7, 129 S.Ct. 365, 376, 172 L.Ed.2d 249 (2008), as quoted by CHS, Inc. v. Petronet, LLC, Civ. No. 10-94RHK/FLN, 2010 WL 4721073 (D. Minn. Nov. 15, 2010) (which contained an extensive and informative analysis regarding the factors considered in granting injunctive relief). Fed. R. Civ. P. 65(c); Minn. R. Civ. P. 65.03(a); see also Bellows v. Ericson, 46 N.W.2d 654, 660 (Minn. 1951). Ecolab, Inc. v. Gartland, 537 N.W.2d 291, 297 (Minn. Ct. App. 1995); In re Giblin, 232 N.W.2d 214, 223 (Minn. 1975). Masterman ex rel. Coakley v. Goodno, No. Civ.03-2939, 2003 WL 22283375 (D. Minn. Sept. 25, 2003) (setting bond at $1000 in suit by citizens against public official). See, e.g., B & Y Metal Painting, Inc. v. Ball, 279 N.W.2d 813, 817 (Minn. 1979). See Lemon v. Gressman, No. C8-00-1739, 2001 WL 290512 at *3 (Minn. Ct. App. Mar. 27, 2001) (citing Faust v. Parrott, 270 N.W.2d 117, 120 (Minn. 1978)). See Tenant Const., Inc. v. Mason, No. A07-0413, 2008 WL 314515 (Minn. Ct. App. Feb. 5, 2008) (upholding grant of attorney’s fees to employer in non-compete agreement); Tonna Heating Cooling, Inc. v. Waraxa, No. CX-02-368, 2002 WL 31687601 at *5 Minn. Ct. App. Dec. 3, 2002) (denying an employer’s request for attorney’s fees, despite employee’s violation of the non-compete agreement, because the agreement did not provide for the payment of attorney’s fees); Barr/Nelson, Inc. v. Tonto’s, Inc., 336 N.W.2d 46, 53 (Minn. 1983). Kallok v. Medtronic, Inc., 573 N.W.2d 356, 363 (Minn. 1998). Gorco Constr. Co. v. Stein, 99 N.W.2d 69, 74 (Minn. 1959). Bellboy Seafood Corp. v. Nathanson, 410 N.W.2d 349, 352 (Minn. Ct. App. 1987). Gorco, 99 N.W.2d 69 at 74. Timm & Assocs., Inc. v. Broad, No. 05-2370, 2005 WL 3241832 (D. Minn. Nov. 30, 2005). Bromen Office 1, Inc. v. Coens, No. A04-946, 2004 WL 2984374 (Minn. Ct. App. Dec. 28, 2004). Frank B. Hall & Co. v. Alexander & Alexander, Inc., 974 F.2d 1020 (8th Cir. 1992) (arguing that the liquidated-damages clause in a Settlement Agreement between competing employers was not the sole remedy if one employer breached the agreement by inducing an employee to compete); H&R Block Enterprises, Inc. v. Short, No. Civ. 06-608, 2006 WL 3437491 (D. Minn. Nov. 29, 2006) (concluding that in cases where “money damages alone would be inadequate due to the recurring and uncertain nature of the harm,” a party to a non-compete agreement may seek injunctive relief notwithstanding the existence of a liquidated-damages provision). Medtronic v. Hedemark, No. A08-0987, 2009 WL 511760, at *3–5 (Minn. Ct. App. Mar. 3, 2009). Harris v. Bolin, 247 N.W.2d 600, 603 (Minn. 1976).